Just like Terminator 2: Judgement Day, sometimes the second is better. This is the sophomore offering in the “Internet’s Best Mixtape” series. This collection shows a cynical maturing and faster rhymes delivered than it’s predecessor. Some things remain the same though. Know you can expect unique, original, high quality, well produced rap music with some attitude and nerdiness. Right off the bat this opens up with a hard hitting, modern take on the rock classic song “The Rising Sun”. Next up is 4 minutes of straight rhymes over the Mobb Deep Classic “Shook Ones”. Karanastic’s abilities continue to grow and show that the independent circuit can make awesome songs to provide a much needed alternative to the mainstream. 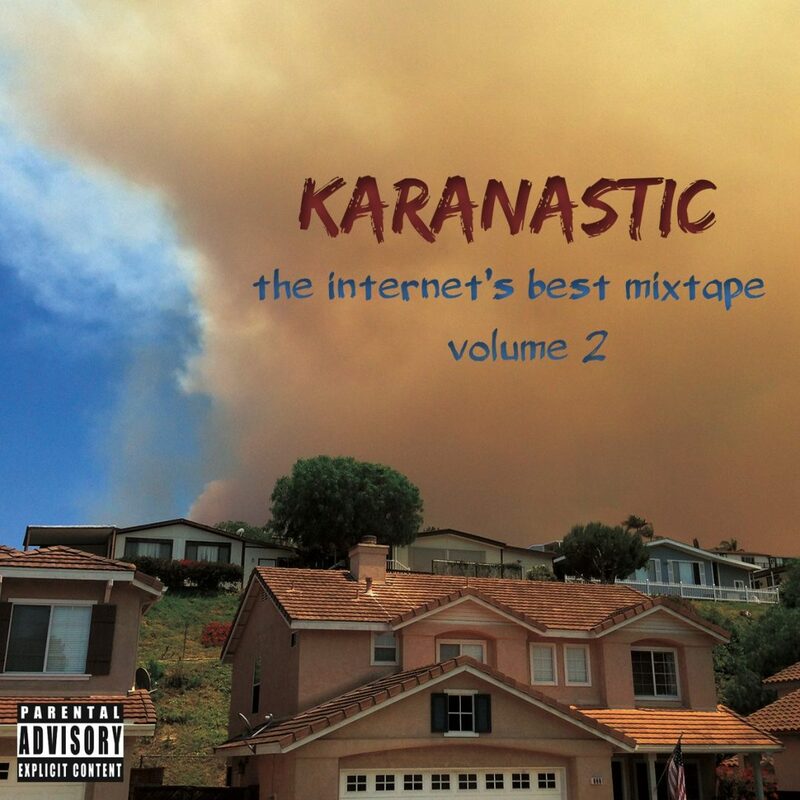 The Volume 2 collection has some rap songs like you have never heard before with the unique style that is Karanastic. Check it out and discover the twisted and truthful lines these terrific rhymes that are most divine.